This is something I have been working on for a while now. 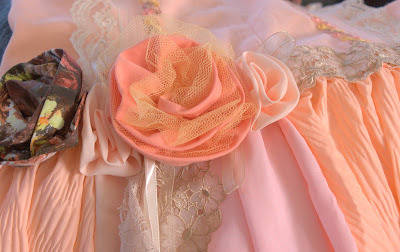 Almost done, just got to do a few more fabric roses. 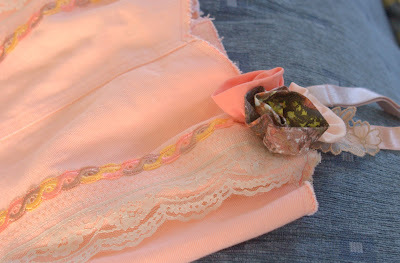 The peach fabric used in the photo above are the leftover pieces from the skirt I shortened here. It’s turned out very differently from my original idea but still very pretty all the same. Can you guess what it is?